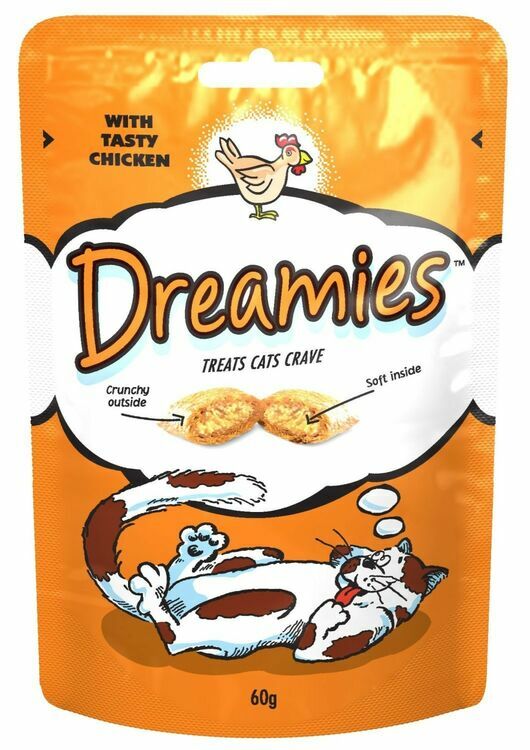 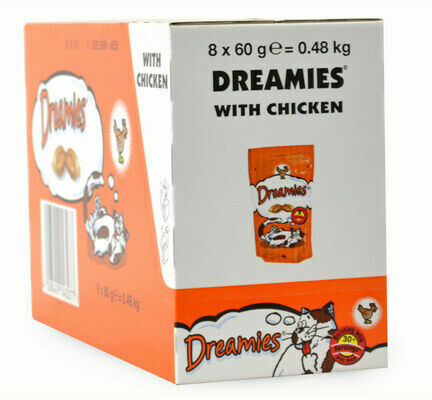 With all of the deliciously meaty flavour of chicken, these Dreamies cat treats are perfect for rewarding cats when they have been well behaved or deserve a little bit of pampering. 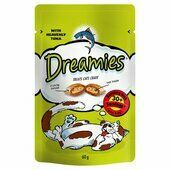 Each packet of Dreamies cat treats contains around 31 individual treats, which means that with our Dreamies bulk offer you'll have roughly 248 chicken flavoured treats to reward your cat - or cats - with when they have been good. 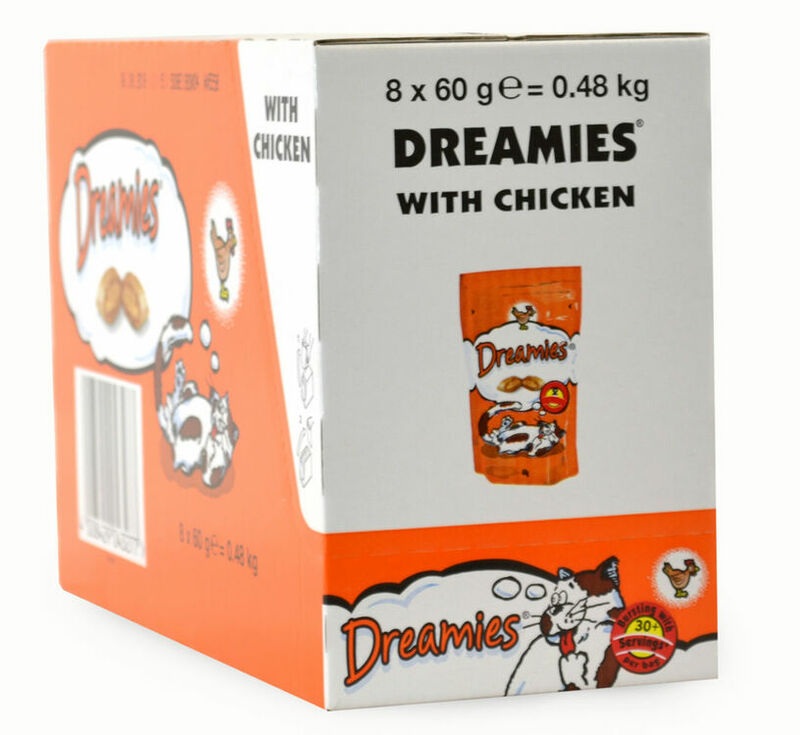 Designed to be enjoyable to cats and yet always leave them wanting more, do not be surprised if your cat starts to go out of its way to get its paws on some of these Chicken cat treats. 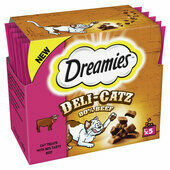 Best of all, you needn't feel bad about indulging them either, as there are only 2 calories in each treat! 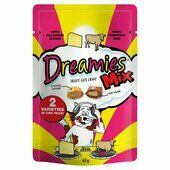 With a hard outer shell that gives a satisfying crunch and a soft core that is bursting with flavours, Dreamies cat treats are undeniably delicious, incredibly moreish and nothing short of irresistible. 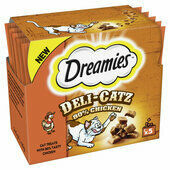 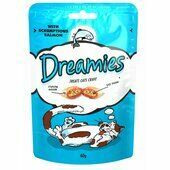 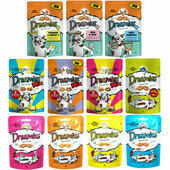 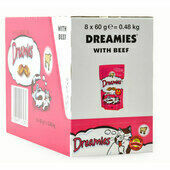 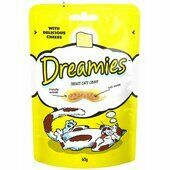 Dreamies have created a scrumptious and irresistible range of treats that pets love. The team have designed a selection of low calorie treats, that contain no artificial preservatives, colours or flavours, helping to keep your pet happy and healthy.